Nicole Resciniti Literary Agent – This article about Literary Agent Nicole Resciniti and The Seymour Agency is part of a series about literary agents and Finding a Literary Agent. Book Agent Nicole Resciniti is an agent at The Seymour Agency. Publishing Agent Nicole Resciniti has degrees in biology, psychology, and behavioral neuroscience. She taught in the public school system and has worn many hats before heeding her calling to become a literary agent. She is a member of RWA, ACFW, AAR, and Mensa. Book Agent Nicole Resciniti has been listed as a top dealmaker in the country on Publisher’s Marketplace. She loves helping established writers reach the next level and discovering new talent. Nicole Resciniti Literary Agent is on our list of AAR Book Agents (publishing agents who are members of the Association of Authors’ Representatives), Christian Book Agents (publishing agents who represent Christian fiction and/or nonfiction), Book Agents New York (publishing agents in New York State), Book Agents USA (publishing agents in the United States), Fiction Book Agents (publishing agents who represent fiction authors), Nonfiction Book Agents (publishing agents who represent nonfiction, not just novels), Children’s Book Agents (publishing agents who represent books for younger readers), Young Adult Book Agents (publishing agents who represent YA books for teens), Middle Grade Book Agents (publishing agents who represent books for middle grade tween readers), and Picture Book Agents (publishing agents who represent picture books for kids). 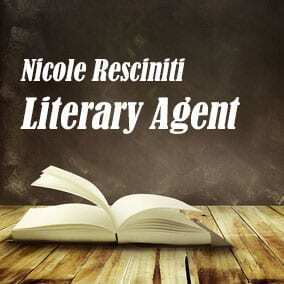 The profile about Nicole Resciniti Literary Agent that you see here contains some of the information you’ll find in our free Directory of Literary Agents, with literary agent listings for both established and new book agents. 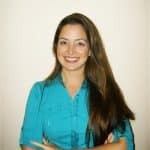 Scroll below now to learn more about Literary Agent Nicole Resciniti or click here to get free instant access to our official Literary Agents Directory. Scroll below now to view representative titles and a complete profile for Nicole Resciniti FREE in our Book Agents Directory. Scroll below now to view the AAR status and a complete profile for Nicole Resciniti FREE in our Book Agents Directory. Scroll below now to view the email and postal address for Nicole Resciniti FREE in our Book Agents Directory. Join thousands of other subscribers today. Simply enter your first name and email address for free, instant access to the Directory of Literary Agents. Get complete access to comprehensive profiles for both established book agents and new literary agents like Nicole Resciniti Literary Agent.